Happy Young Teenager Girl Reads Book Among Flowers. Adorable Teenager Girl Having Fun In Flowering Daffodil Fields. Happiness, Youth, Spring, Education, Achievements, Study, Pleasure Concept. Lizenzfreie Fotos, Bilder Und Stock Fotografie. Image 99983893. 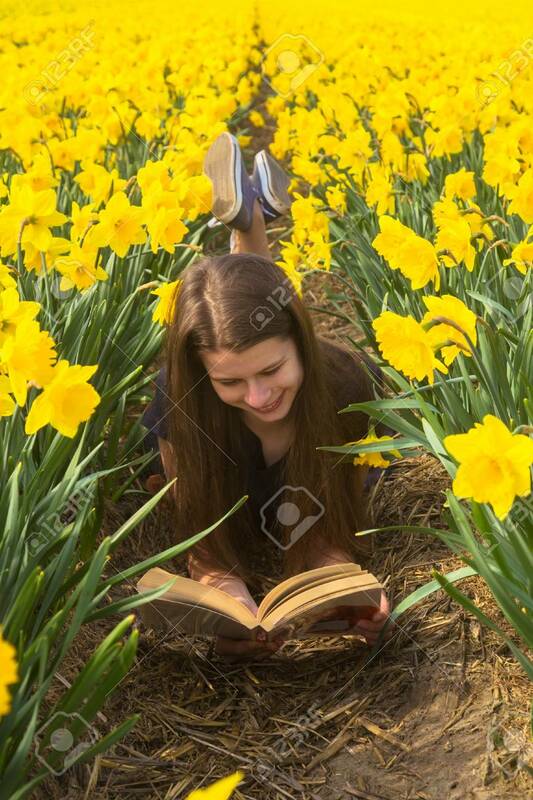 Standard-Bild - Happy young teenager girl reads book among flowers. Adorable teenager girl having fun in flowering daffodil fields. Happiness, youth, spring, education, achievements, study, pleasure concept. Happy young teenager girl reads book among flowers. Adorable teenager girl having fun in flowering daffodil fields. Happiness, youth, spring, education, achievements, study, pleasure concept.